Citroen's DS High Rider concept previews a replacement for the C4 compact hatchback. Fiat S.p.A., Ferrari, Citroen and Honda all showcase environmentally friendly technologies at the Geneva auto show. Fiat will unveil Europe's only two-cylinder engine, which will appear in the 500 minicar while Ferrari debuts a hybrid powertrain in a prototype of its 599 GTB Fiorano coupe. Ford will unveil a station wagon variant of the new Focus alongside production versions of the five-seat C-Max and seven-seat Grand C-Max compact minivans. Citroen's DS High Rider hybrid concept car is powered by PSA/Peugeot-Citroen's diesel full-hybrid system, which will be offered in Peugeot and Citroen cars starting in 2011. Honda's European version of the CR-Z coupe aims to expand the appeal of hybrid cars to drivers who want a sporty but fuel-efficient vehicle. Below is the second part of Automotive News Europe's A-Z guide to Geneva launches covering automakers from Citroen to Honda. 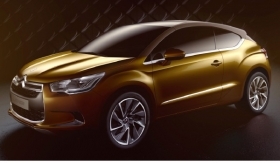 Citroen will unveil the DS High Rider hybrid concept car, which heralds the forthcoming DS4 due in early 2011. The three-door coupe also previews Citroen's replacement for the C4 compact hatchback, which is due next year. The DS4 will be the second member of the DS sub-brand of near-premium cars after the DS3, which went on sale late last year. Citroen says the High Rider combines compact dimensions with generous internal space, dynamic performance and sophisticated styling. The High Rider concept is powered by PSA/Peugeot-Citroen's diesel full-hybrid system, which will be offered in Peugeot and Citroen cars starting in 2011. 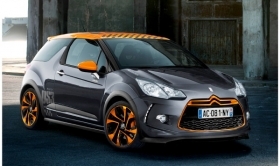 Citroen also will unveil the limited-edition DS3 Racing. Inspired by the Citroen C3 which races the World Rally Championship, the model will be limited to just 1,000 production units. Based on the production 1.6 THP DS3, the Racing version underwent tweaks to the turbocharger, exhaust and engine management system to boost power to 200-hp from 155-hp. Dacia will continue the expansion of its lineup with the unveiling of the Duster low-cost SUV, which will go on sale shortly after the show. 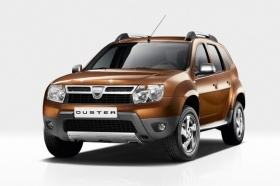 The Duster will be offered with front-wheel and four-wheel drive and will have an estimated starting price of less than 15,000 euros (about $22,150). The Duster is based on the Logan platform and joins the Logan sedan, station wagon, van, pickup and Sandero hatchback among the offerings from Renault's low-cost Romanian unit. Ferrari will show a prototype of its 599 GTB Fiorano coupe with a hybrid powertrain called Hykers. HY stands for hybrid, while KERS is a contraction of the Kinetic Energy Recuperation System, which the company used during the 2009 Formula One racing season. Ferrari Chairman Luca di Montezemolo has confirmed that the company will offer hybrids but offered no more details before the Geneva show. 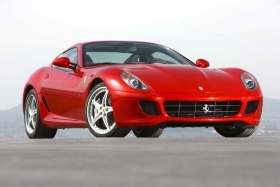 Italian magazine Quattroruote reported that the new system will use lithium batteries and an electric motor to cut the fuel requirements of the 599's 6.0-liter V-12 by 35 percent. Fiat S.p.A. will unveil its new 900cc, two-cylinder Twin-Air engine, which will be the only two-cylinder engine available in a car in Europe when it goes on sale in the Fiat 500 this summer. Offered as 65-hp normally aspirated or 85- and 115hp turbocharged versions, the new engine will be progressively extended to other Fiat and Lancia mini- and small cars. In terms of capacity, the Twin-Air is the smallest gasoline engine available in Europe. Mercedes Benz unit Smart's ForTwo minicar offers Europe's lowest-displacement engine, a 45-hp, 799cc three-cylinder diesel. Globally, Tata Motors is the only other carmaker currently offering a two-cylinder engine. The Nano minicar has a 33-hp 623cc engine. 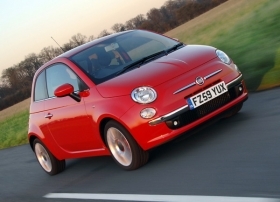 Fiat said the 500 model equipped with the 85-hp Twin-Air engine will reduce CO2 emissions to 95 grams per kilometer. Currently, the most fuel efficient 500 model emits 110g/km, equipped with a 69hp 1.2-liter four-cylinder engine. Fiat's sporty sub-brand Abarth will unveil in Geneva its interpretations of the 500C Cabriolet and the Grande Punto hatchback. The Abarth 500C is equipped with a 140hp 1.4-liter Turbo T-Jet engine permitting 0-100 kp/h acceleration in 8.1 seconds. The Abarth Grande Punto comes standard with a new 165-hp Multiair 1.4-liter turbo gasoline engine. Equipped with the SS (SuperSport) kit, the model reaches 180hp, the same output offered by the Volkswagen Polo GTI, a model also debuting in Geneva. In Geneva, Fisker Automotive will unveil the advanced aluminum space frame underpinning the Karma plug-in electric sedan. The U.S. premium sports car company says the frame gives the Karma "new levels of rigidity and strength" for "world-class ride and handling characteristics." Production of the Karma will start at Finnish contract manufacturer Valmet Automotive's factory later this year. Valmet will debut a car of its own in Geneva, a 2+2 seat electric city car concept called the Eva. Ford will debut production versions of the new C-Max and Grand C-Max compact minivans and a station wagon variant of the new Focus. The C-Max has a coupe-like, sweeping roofline that falls off to the rear. The seven-seat model has a higher roofline to accommodate the additional row of seats. It also has twin sliding doors. The five-seat C-Max and seven-seat Grand C-Max will go on sale in Europe this year. U.S. sales of the seven-seat model begin late next year. The minivans will be shown alongside the latest Focus range including a wagon variant The Focus hatchback and sedan were first shown at the Detroit auto show in January. European and U.S. Focus sales start in January 2011. With its CR-Z coupe, Honda aims to expand the appeal of hybrid cars to drivers who want a sporty but fuel-efficient vehicle. 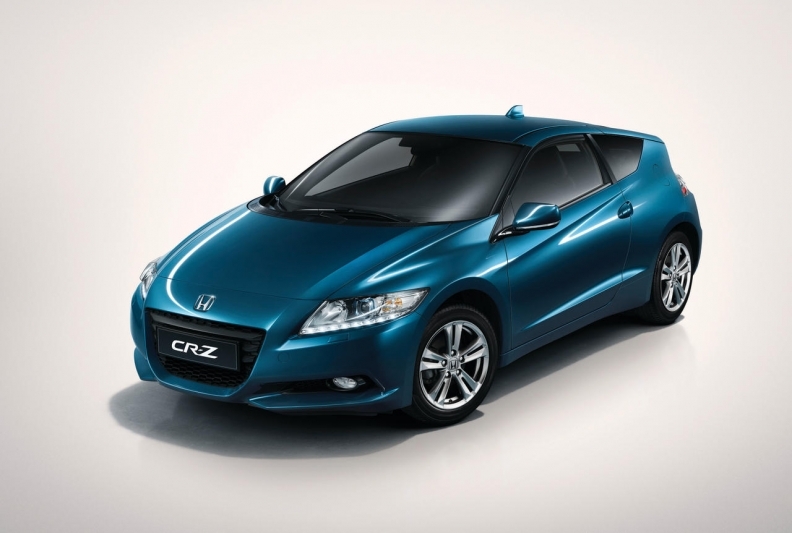 Honda will debut the European version of the CR-Z after the car was first unveiled at the Detroit auto show in January. The CR-Z will go on sale in June and it will be the first hybrid available with a six-speed manual, which is the standard transmission. The 2+2 coupe has a 1.5-liter gasoline engine coupled to Honda's Integrated Motor Assist hybrid technology. Honda says the CR-Z's compact coupe body, aerodynamic design and a responsive chassis, offer sporty looks and agile handling.